Menu My Compassion Chat Chat is currently unavailable. Preparing for a trip to another country can be overwhelming! Compassion has taken sponsors on trips for more than 25 years, so we are equipped to help. We strive to provide as much information as possible as you embark on your journey. Once you register for a trip, you will get detailed information on that country and what adventures your trip will hold! We’re here to help walk you through the registration process. Below you will find a detailed timeline explaining when you should register, and what happens after you do! Once you choose the tour you would like to attend, the first step is to register! In order to register, you will need to have your passport information, emergency contact information and your health information for yourself and any guests. The deposit for each trip is required to complete your registration and reserve a spot on the trip. When your registration is complete, you will receive a confirmation email. This email is important, and we ask that you read it thoroughly and keep it handy as you will need it for reference in the future. Within your confirmation email, we will provide you with the necessary links to secure your background check and release forms, which each traveller is required to complete. Each trip has a final payment deadline, which is typically three months prior to departure. Leading up to the deadline, you will receive payment reminder emails so that everything is in place in good time for the trip. Approximately two weeks after the final payment deadline, we mail out a “welcome box,” complete with everything you need to prepare for your trip. It will include your trip guide, luggage ribbon, nametag and lanyard, and some goodies to help make your time more enjoyable in your destination. The time to wait between receiving your welcome box and departing for your trip can seem to take forever! We will send you occasional emails to make sure you are getting any remaining steps done, such as securing your travel documents and booking your domestic flights. This is also the time when your trip leader will start sending the group personalized emails to help you get ready for your upcoming adventure. Along with the emails, the trip leader will also set up a Facebook page where the group can get to know each other, ask questions, and have meaningful discussions. Approximately three weeks prior to departure you will receive your last mailing from us, which will contain your in-country itinerary and e-tickets for your international flight. Please keep in mind that travelling internationally is an adventure, and changes to your final itinerary are almost guaranteed! It is important to remain flexible and remember that most foreign countries do not run on “Canadian time” and delays are common! After registration the most important thing that you will need to do is complete your background check and release form. All of this information, along with the links to complete these items will be located in your registration confirmation email. We require all age of majority travellers to complete a criminal background check to ensure the protection of the children in our programs. There will be a link in your confirmation email that will lead you to complete this through our vendor, Mybackcheck. In order to travel with Compassion, each traveller must sign our Travel Release form (both adults and minors). If you mark a box in the medical checklist during registration, we will also require that you have your doctor fill out a physician’s release. Passports: All travel outside of Canada requires a valid passport, so it is important that you don’t delay in securing this document. You may choose to go through an agency or through the post office. You can obtain a passport application and instructions on how to apply online here. Your passport must be valid for at least six months after you return from your tour. It is possible that travellers may not be allowed to board the plane if a passport expires too close to the return date. Ensure that your passport is in good shape. Tattered, torn or ripped passports may prohibit you from travelling. Please note that all travel documents are each traveler’s responsibility. If your document limits your travels, Compassion is not liable for any of these charges and will not be able to refund your trip cost. Getting a visa can be daunting! We will help you through each step of the way, when it is time to apply for your visa. These instructions will come via email, so be sure to watch your inbox! We will include your international trip itinerary in your registration confirmation email, so you can purchase your domestic flights accordingly. We recommend waiting to purchase your domestic tickets until six to eight weeks before departure, since airlines frequently have flight changes that can interfere with your international connection from your domestic flight. It is important to leave at least four hours between your domestic and international flights. If there are any significant changes to our international flight itinerary, we make every attempt to notify you as quickly as possible. When you receive your e-tickets in your final mailing (approximately three weeks prior to departure) please be sure to check your name on the ticket. It is critical that the name matches (or will match) your passport. If they do not match, you may not be able to board the plane for your flight! Any errors incurring costs will be your responsibility, and Compassion is not responsible for any costs associated with airline changes. As baggage policies are constantly changing, we ask that each traveller checks with each airline for current information on baggage allowances and policies. Any baggage charges are your responsibility. We wish we could help you make personal medical decisions, but we can’t. Legally, we are not allowed to offer any kind of medical advice. Be aware that some countries require certain immunizations to gain entrance into the country. We will be sure to tell you if a vaccine is required for entrance. You can find current information on required immunizations for travel at your local health department, travel clinic or online at travel.gc.ca. We recommend you consult your physician before the tour. Also, make sure you carry your immunization record with you during the trip. Compassion offers Exposure Trips to most of the countries where we work. Each culture and country is different, so before your trip you will receive information about your destination in your Trip Guide. Depending on your destination, our tours range from moderate to demanding in difficulty due to the impoverished conditions. Our trips can include long international flights, time changes, high altitudes, lengthy transportation on bumpy roads, walking on uneven terrain, extensive days, and possible physical activities. Because we understand each traveller is different, we collect medical and health information for each registrant ahead of time so we can be aware of any limitations and needs you may have. Past medical conditions, may require a signed physician release form. While we understand this can be a burden, your safety and health is our main concern while travelling with us. Each trip attendee has basic insurance, which includes medical and evacuation coverage. Each trip attendee is entered into the Canadian Embassy site prior to departure. Compassion utilizes our staff in-country by helping our Canadian staff make decisions on the safest places to travel. They are always ready to help if an emergency should arise. Concern for the well-being of children is the cornerstone of our ministry. We do everything within our power to ensure that no harm comes to any child registered in our program and to protect our children from any form of child abuse or exploitation. We believe the vast majority of our sponsors and donors share our values of respecting and caring for children. But it’s possible that some people may seek to use our Child Sponsorship Program to gain access to children for inappropriate reasons, which is why we require a background check for everyone 18 and older who interacts with any beneficiary of our program. Please consider reading our full Trips and Visits Child Protection Policy if you are considering travelling with us, as it guides interactions between sponsors and children occurring on our group trips or individual custom visits. It is meant to protect the children in our child development centres from abuse as well as to protect visitors from any wrongful allegations. Please bring what you need to be comfortable. But remember, the lighter you pack, the easier the trip will be for you. Although everyone’s needs vary, here is a list to help get you started. *Because cultures vary, women will want to bring at least one long dress or skirt. For some trips, a skirt or dress may be needed each day. Please check with Compassion if you aren’t sure about the dress code. †To wear at hotel only. 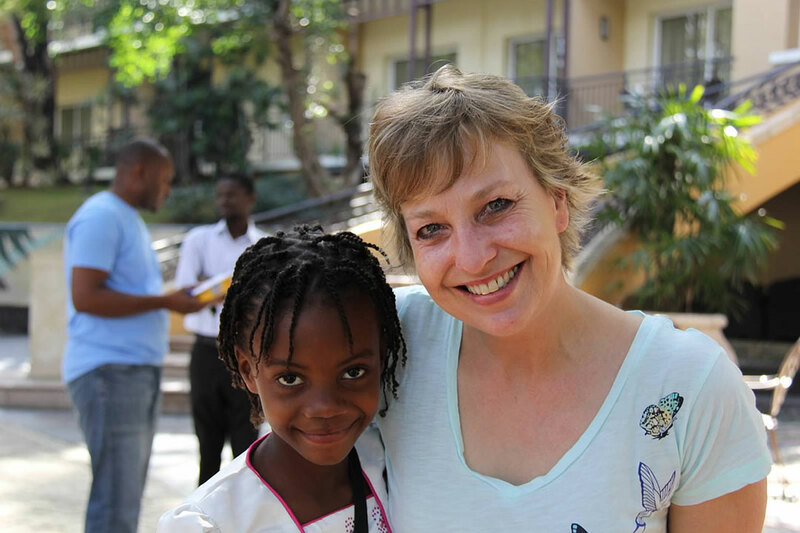 A trip to meet your sponsored child is a very exciting event, and it is normal to feel a little nervous. When you go on a Exposure Trip, you will be provided with an itinerary that includes some fun activities you can share with your sponsored child. You’ll likely be able to share a meal together and have the chance to give gifts to your child. You will have a translator who will make it truly possible for you to learn more about your sponsored child. Don’t be surprised if your child’s family has a gift for you too! You are a special part of their life. Take lots of pictures, as this will be a day to remember! Please keep in mind that your child may feel overwhelmed or shy at the beginning of your visit. But a few conversation starters and activities can help! Introduce yourself and your family, and ask about your child’s family. What classes do you have at school, and do you have a favourite? Who are your best friends? What sports do you like? Do you have a favorite Bible verse? How do you feel about your sponsor coming to visit you? Do you like receiving letters and post cards from me, your sponsor? Bring pictures of your family, friends and pets, and share these with your sponsored child. Bring copies of any pictures of your sponsored child, or copies of the letters you have received from him or her. Play together — soccer ball, frisbee and jump ropes are fun! Draw pictures or do a craft together. Teach your child a Bible story. Bring some fingernail polish — most little girls will love to have their nails painted! The best gift you can give children and staff is your time and care. If you would like to bring gifts, however, you are more than welcome to do so! We recommend filling a backpack for your sponsored child. This is a good measure of the quantity of items to take and is convenient. Keep in mind that Compassion children are from areas where basic needs are pressing. Compassion centres are a safe place where children are known, loved and protected. In addition to your personal items and any gifts for your sponsored child, feel free to bring arts and crafts or sports supplies for visits to child development centres. See below for some ideas on practical and fun gifts you can bring for sponsored children and development centres. A parent/guardian will accompany your sponsored child on Fun Day, so don’t forget to bring a gift or two for your child’s family members! A great gift to give your sponsored child is a small photo album. After your trip, you can mail them the photos to fill it! *It can be easy to go overboard when choosing gifts for your child and their family. We suggest bringing a backpack and using that to fill with gifts, which keeps the child from being overwhelmed, and also assists in giving the child an easy way to carry the gifts home without putting them at risk. Each trip visits a variety of Compassion’s programs, so it is important to come equipped with activities and resources to make these visits fun and memorable as well as a blessing to the recipients! 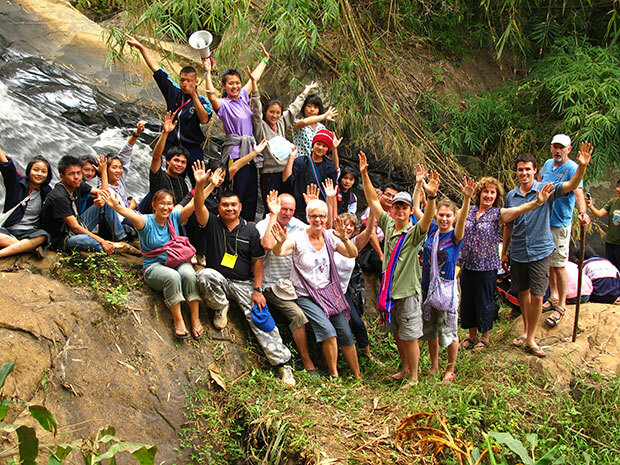 Depending on the number of people on each tour, the culture you are visiting, and the trip itinerary, your trip leader will send out a list of recommended items that they would like each participant to bring to ensure the group has an adequate supply for each center, as well as each program. Below is a sample of some of the items your trip leader may request that you bring with you. Of course, if you have something special you would like to contribute, please let them know ahead of time! *All toys for children under 3 years of age should have a diameter of at least 3 cm to prevent a choking hazard. Chat Chat is currently unavailable.